To put it bluntly: Injection quills improve safety and can result in efficient chemical injection in most processes. Read on to learn more about injection quills and how they work. 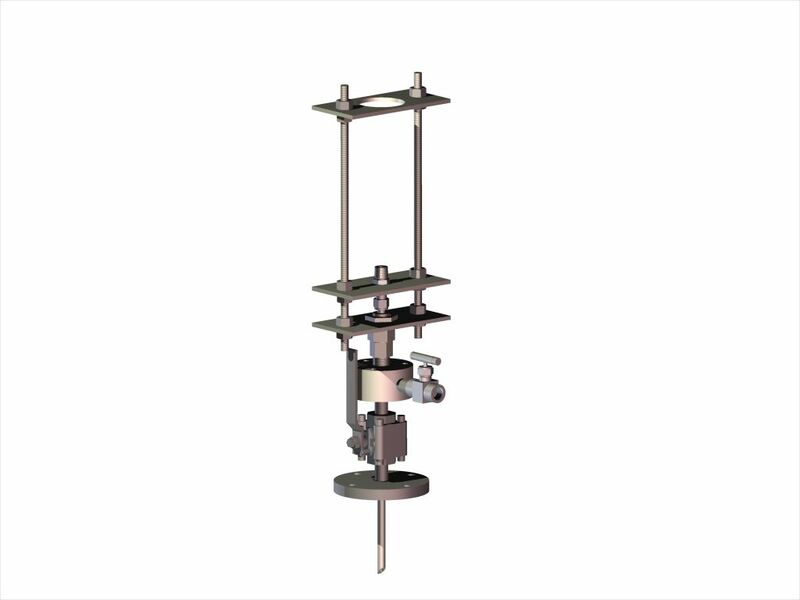 The quill creates an area of turbulence and provides a way to dispense the chemical into this turbulent stream to provide quicker mixing while also preventing high concentrations of the chemical from being deposited along the side of the pipe. Chemical accumulation within a pipe has the potential to create corrosion and premature process pipe failure. Retractable injection quills facilitate the injection of chemical into a process fluid stream without the need to disturb, halt, or de-pressurize the existing process. This can allow chemical to be injected sooner, while being more cost effective, within a system, versus having to wait for or force a shutdown in order to start adding chemical into the process. Depending on the specific requirements of the operation, injection quills can incorporate additional components, such as isolation and bleed valves, which allow for the trapped or pressurized chemical to be bled-off, and a flush fluid to be run through the quill prior to removing the quill from the process. Injection quills can be used to inject almost any chemical, ranging from common oil and gas applications such as methanol, corrosion inhibitors and anti-scalants which are used to avoid freezing, reduce corrosion and reduce scaling on the internal cavity of pipes, to a large variety of other process chemicals used in refineries, upgraders, petrochemical, water and wastewater plants, mines and an assortment of manufacturing processes. Fixed or retractable quills that have an isolation and / or a bleed valve incorporated in the design will facilitate the safe discharge of trapped or excess chemical to a drain or safe disposal area or container. Retractable quills with a threaded guide allow for safe removal under pressure. This means that the quill is captured and controlled while removing and will not shoot-out under pressure which could result in an injury. Experienced engineers will gather and review all the relevant data to ensure that suitable materials are selected and that the design is optimal and safe for the process conditions. This includes but is not limited to performing wake frequency calculations, reviewing fluid compositions, flow, velocity, temperatures and pressures. What type of quill is best suited to your operation? Fixed or retractable? What is the insertion length of quill, design pressure and design temperature? Determine the injected chemical and its flowrate, chemical name, viscosity, compatibility and pressure. For the main process chemical, the flowrate, chemical name, viscosity, specific gravity, compatibility, and pressure also need to be determined. What is the diameter of the process pipe being used? Injected Quill Connection: confirm details on the type of connection, (Flange or MNPT/FNPT), material, and connection size. 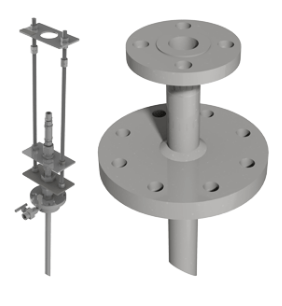 Process Pipe Connection: confirm the height of connection face from surface of process pipe (or existing valve), and the details on the type of connection (Flange or MNPT/FNPT), and material and connection size. Once this information has been confirmed, the costing, design, and manufacturing of the quills can begin. We engineer and manufacture custom quills in a fixed or retractable design utilizing a variety of materials, with the highest level of inspection, testing and documentation. We design and ship quills for both local and global markets. All quills are available with Canadian Registration Numbers (CRN), Material Test Reports (MTR) and full documentation. We offer the highest quality injection quills on the market, with expedited delivery. We work with a variety of retractable and fixed injection quills, in a variety of steel and alloy, with any connection type and size. All quills are fully customizable. Many of our existing quill designs and material are CRN pre-certified for quicker delivery. All quills adhere to the highest quality of audited procedures for pressure design and manufacturing.